No, not my wedding. Those of you who follow me on my various social media accounts will know that over the weekend I attended a family wedding. 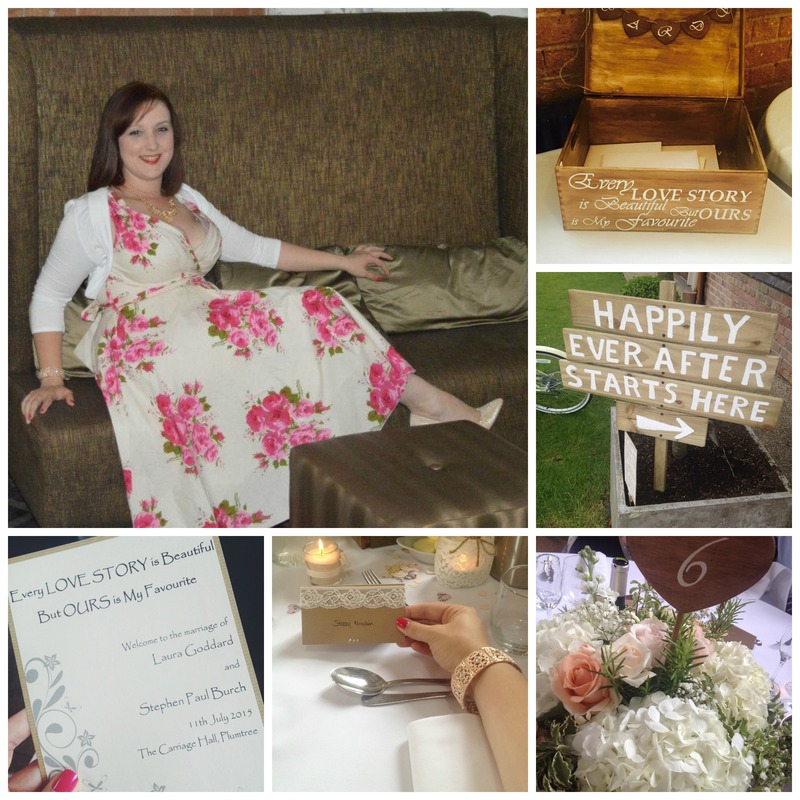 I haven’t been to a wedding in well over a year so I thought I would use this opportunity to try something a bit new on the blog. I’ve seen other people do Get Ready With Me posts and thought it might be fun to have a go myself. So here you have it. Before every big event, you have to prepare. I don’t think I actually spent this long preparing for my own wedding. But I am ten years older now, and this thing takes a bit longer than it used to. Frequent followers will know that I have only recently had my hair cut and to be honest I still haven’t managed to work out how exactly to style it. On the morning of the wedding I tried curling it in rollers to give it a bit of a vintage look and ended up just running the straighteners over it to keep it in it’s ordinary style. (boring!) I could have asked my sister (a hairdresser) to help out, but to be honest I was feeling moody and stubborn didn’t want to ask for help. I get like that sometimes. I had been planning on going for the whole hog of make-up, false lashes and everything, but when it came down for it I really just wanted something simple and classic. Lips – Maybelline ColorSensational Lipliner in Pleasure Me Red and Christian Dior lipstick in shade 999. The Dress – I wanted something summery, with a vintage feel and I found this little beauty on eBay. I thought it was a bargain at £19.99! It fit really well, which is always a worry with an eBay purchase, however it was very revealing in the front! I don’t mind showing a bit of cleavage (if you’ve got it, flaunt it – I am a Burlesque dancer after all) but I do hate it when you feel uncomfortable in a dress that might slip and show more than you intended. The white bolero cardigan was from Asda and was a whopping £6. 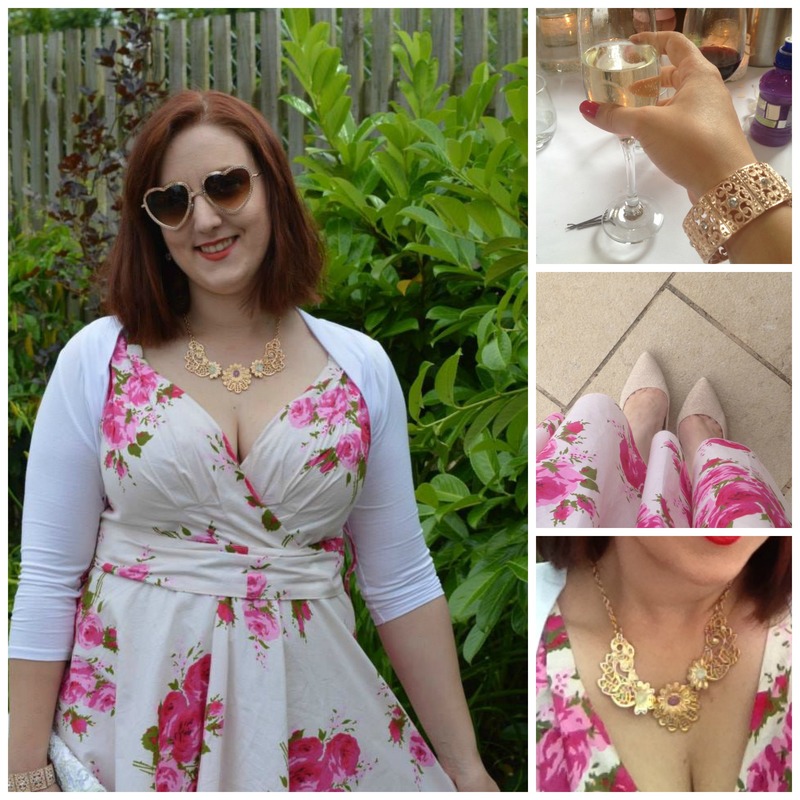 Altogether, a very affordable wedding outfit. 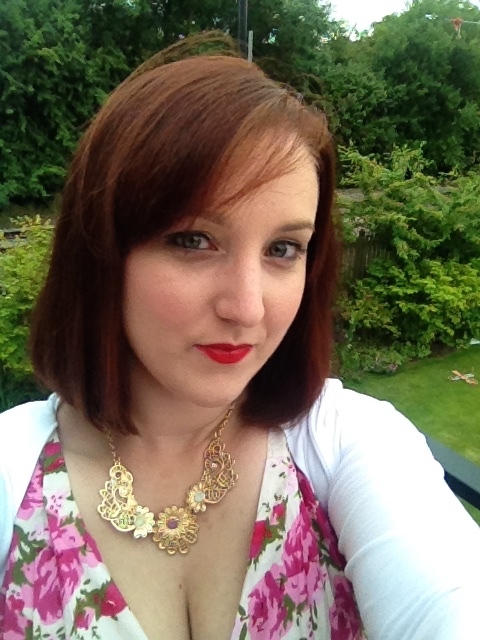 The accessories – The necklace was from Matalan and the bracelet was from George at Asda. I can’t remember exactly how much they were, but I never normally pay more than £5 for costume jewellery. The sunglasses and shoes are both from New Look. I saw the sunglasses on the Instagram of @HannahFGale and absolutely loved them, so hunted them down. As I didn’t want to pay for delivery, I decided to buy the shoes as well (perfect logic I know). They were £20 (I think) and I’ve already worn them to two events so were well worth the money. They’re neutral and still sparkly so I feel like they’ll be really versatile and will dress up any outfit! The wedding was beautiful. (Aren’t they all!) I’ve discovered that weddings are still a bit difficult for me to deal with. There’s nothing I love more than to see what theme and decor the happy couple chose, and see the little finishing touches they picked to make their wedding special. At the same time, I do feel a twinge of sadness that a fairytale wedding doesn’t necessarily guarantee you a happy ending. I had a weak moment as the bride walked down the aisle where I didn’t know if I would be able to hold it together, but I manned up and forced myself to enjoy the magic of the moment. I hope that one day I’ll get to share that moment with someone again and look forward to a beautiful future. At the end of the day I came to the conclusion that I love weddings, I love getting dressed up and I can’t wait for the next one. So feel free to send me your invites!! Lol! Are you looking forward to any summer weddings or other big events? I’d love to hear about them – leave a comment below. 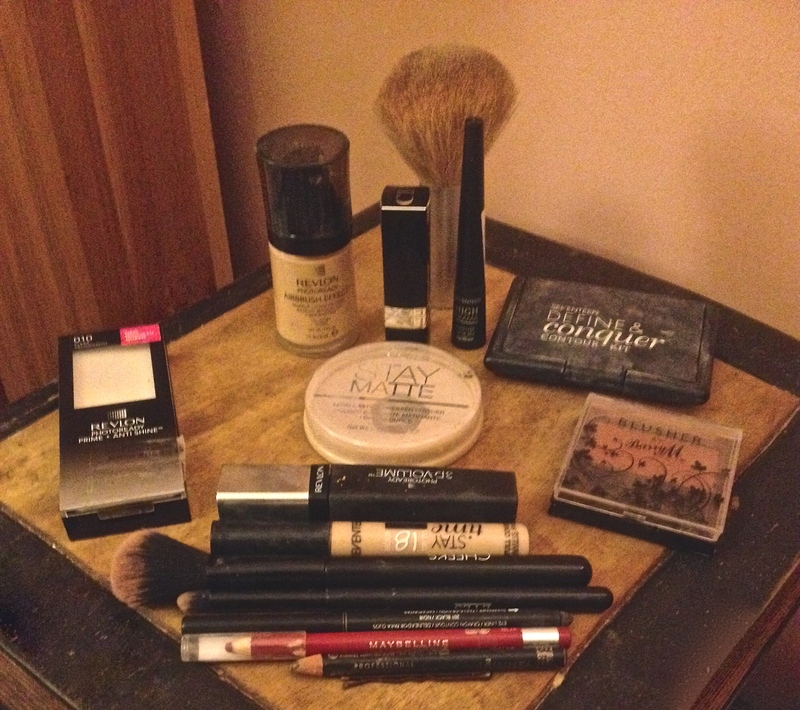 This entry was posted in Beauty, Family, Parties and tagged beauty, fashion, get ready with me, hair, makeup, wedding.